Free Party Invitations for your Birthday Party! 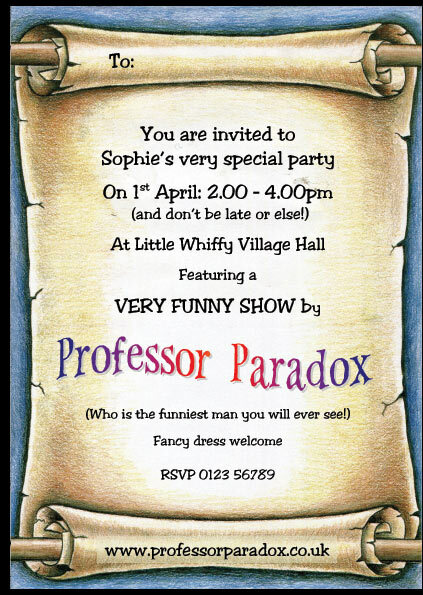 Once you have booked Professor Paradox for that very special party, you get free invitations in pdf format all ready for printing. Simply email the info and save yourself the trouble of writing all the individual party invites. It’s in A5 format, two to a page and print ready, and all at no extra cost. Send details of when, where, when and who, along with themes, fancy dress, and RSVP details, and I’ll do the rest.